Our company is dedicated to the everyday gym enthusiast that is in search of a quality product with affordable pricing. The owner of Gainz Sports Gear LLC analyzed the market and from his research, he found out first all of the weight lifting equipment look the same, second the products that were efficient were grossly over priced and the products that were a bargain were cheaply made and manufactured. At the end of the day we are everyday gym enthusiast just like you we were tired of purchasing products that were inadequate and inefficient which was the main reason Gainz Sports Gear was established. 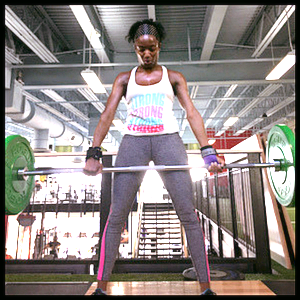 Gainz Sports Gear is the manufacturer of elite and unique weight lifting and cross training equipment. In addition to premium quality, we wanted our products to make a statement by combining functionality and fashion for men and woman. The Gainz Load & Lock Grips are made of a reinforced Kevlar double stitched and double layered. Kevlar has a range of advantages not only its relative low weight and high strength, Kevlar is often combined with other materials to produce textiles with enhanced properties, such as fire resistant clothing for the Fire Services. What does this mean to you? The Gainz Load & Lock Grips are considered to be a dual threat by adding a superior neoprene wrist cushion support while providing you a stronger grip alleviating grip fatigue. 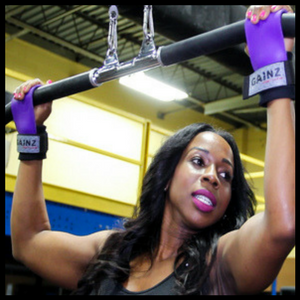 The Gainz Sports Gear Wrist Wraps are made to provide wrist support for those individuals that still want to feel the essence of the bar. Our wraps are stronger and provide more flexibility than most wraps due to its blended material. Our wraps have a loop tightening system and double velcro for multiple attachment. Another feature of the wrist wraps is the no thumb loop system focusing only on the support and flexibility for your wrist.